This week's Fresh Fitted Friday selection is a West Michigan Whitecaps hat because the state of Michigan made some waves (I'm so, so sorry for this terrible pun) this week as they became the 10th state in the U.S. to legalize recreational marijuana. This is no doubt going to do wonders in continuing to grow their economy and decrease overcrowding in prisons, which to be fair has dropped some in recent years. It's now dawning on me that I've never been to Michigan but I have some friends in Kalamazoo that I can visit and Bells Brewery is also located there so I think I might need to make the trip at some point. I should try to check out a Whitecaps game and maybe the Great Lakes Loons or Lansing Lugnuts too. The Whitecaps stuck with this logo from their inaugural season in 1994 through 2002 which is a really long time considering this logo is nondescript when compared to the zany logo trend that many teams jumped on during that time. The tags and satin taping in the cap closely resembles caps that I have from 2001 to 2004 however the taping is more in line with caps from the later end of that range. 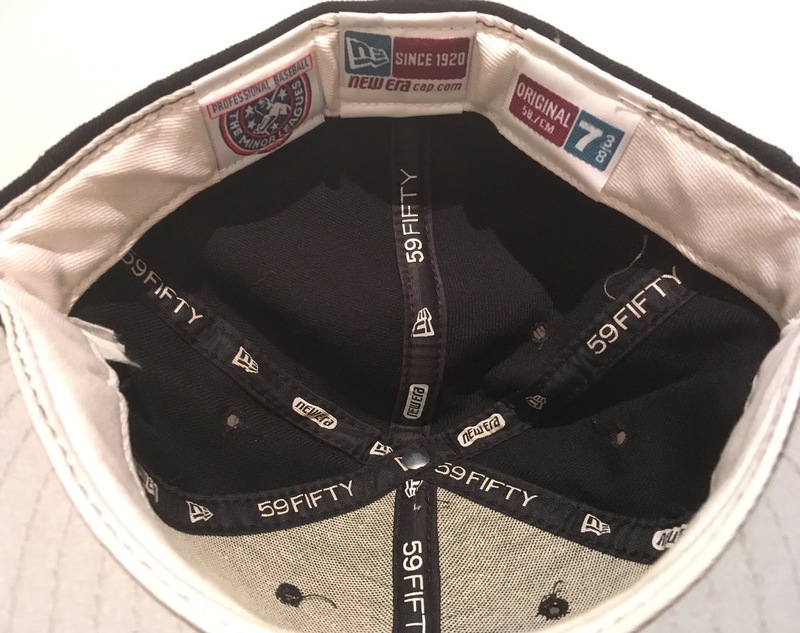 Because the team changed their logo in 2003, I can say with near certainty that this cap with the original logo is from 2002. This is definitely the only cap that I own with a turquoise and yellow batterman so props are definitely in order here. 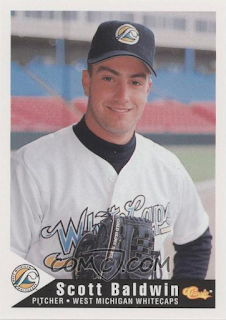 Since the Whitecaps play in the relatively low-level Class-A Midwest League, there aren't a lot of notable alumni so decided to showcase a card of a player who shares a name with my brother-in-law's twin brother! Even though this cap isn't one of my more exciting ones, I dig its simplicity and I hope you do too so I thank you for taking the time to check it out! This cap happens to be my size so because of that and the unique colorway, it's not going on the Trading Block however please don't hesitate to reach out if you want any of the hats from that list and you are willing to part with any of the hats on my Wish List.